We believe that theÂ best push mower is the Craftsman Gas Powered 3-in-1 Push Lawn Mower. This mower offers an easy start pull cord system that requires little strength and lower speed than other mowers. Plus, its 140cc engine will help the motor power through dense grass and weeds, with less physical exertion needed. In addition to our recommendation, the following list gives you some other choices for effective push mowers. How is a Push Mower Different Than Others? A push mower, as the name suggests, is a lawnmower that requires some degree of physical exertion to push. They can be gas powered, electric, or a simple reel mower that you push by hand. A push mower shouldn’t be confused with a self-propelled mower. Although the two are often lumped into the same category of walk behind mowers, they are different. A self-propelled mower uses its own force to move forward through your grass, using its mower to drive the wheels. In contrast, a push mower requires you to push it for the wheels to turn. Push mowers are smaller and more lightweight than many other mowers, so they can be a good choice for those who prefer to use lighter equipment. On average, they can weigh 10 to 30 pounds less than self-propelled lawn mowers (source). Push mowers are typically a good choice for those who have small yards and want a mower that fits well within a budget. 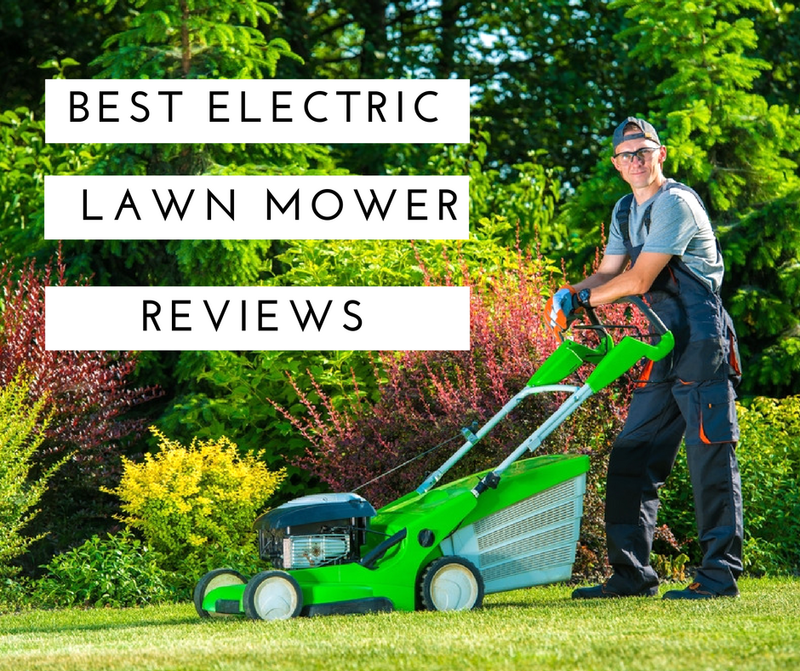 These models are usually less expensive than others, and even newer models can offer several helpful features, while still being more affordable than other types of mowers. Before you purchase a push mower, you should familiarize yourself with the many options available. First, you should distinguish what type of push mower is best for you: a reel mower or a powered lawn mower. A reel mower is basically a manual lawn mower. A reel mower is often the least expensive type of mower you can choose. It also requires the most manual labor, but the best reel push mowers don’t need a lot of force to do the job. A reel mower cuts grass by being pushed through your lawn. It has blades connected to a cylinder, that, when rotated, slice through the grass. These mowers save you money on gas, are environmentally friendly, and don’t cause any loud noise like other mowers (source). A powered mower is run by a motor. They need either gas or electricity to move. Once powered, you don’t have to use much physical exertion to move it through your lawn, but you do have to push it. Gas powered mowers can be difficult to start, since you’ll need to use a pull cord. You also have to be sure to use the right fuel for your specific model. They typically cost more than reel mowers, but they can usually mow a lawn in less time. Cut height and width. Push mowers can offer a variety of widths and heights from their cutting decks, making certain models more ideal for some lawns over others. Voltage. A higher voltage gives a push mower more power, which means it can be easier to move the mower, and usually results in a more even grass cut. Type of power. Powered push mowers can be powered by gas or electricity. Electric mowers can be corded or cordless, with cordless models operated by a rechargeable battery. Height adjustment. Grass cutting height can either be adjusted with levers or at the wheel. Lever adjustments allow you to change the height while using the mower for a more seamless experience. Wheel type. Large, wide wheels can make a mower more maneuverable than those with smaller, thin wheels. Some mowers have front caster wheels that allow for even more maneuverability. Your choice between the two mostly comes down to personal preference and your budget. While reel mowers are very affordable, you may want something that’s a little faster and provides a more even cut. Powered push mowers offer several features that reel mowers don’t, and they can be a good investment for those with larger lawns. When using a push mower, you should take some safety precautions to keep yourself protected, since you’re dealing with sharp blades and possible obstacles in your yard. Before you start mowing, keep your eyes protected with safety goggles. Wear boots or shoes that cover your feet fully, and pants and a shirt that cover your legs and arms. Clothing should be close-fitting to your body to prevent the risk of getting caught in the machine. According to Cub Cadet, you should plan out your mowing pattern before you get started. Thoroughly inspect the lawn as you plan your pattern, and remove any obstacles, like toys, rocks, or branches. Having a good understanding of your mowing pattern will make you more aware of your surroundings before you mow. As you operate your push mower, stand back far enough to keep your arms fully extended. If you need to pull back on the mower, do it slowly, and make sure you are a safe distance away. Fiskars is a leader in the manual lawn mower industry, and its Fiskars StaySharp Max Reel Mower is an excellent choice for best manual lawn mower. This model, according to Fiskars, allows for a much easier push motion than other manual lawn mowers, thanks to its overall design. The StaySharp system creates a design that prevents the blades from touching each other, or other parts of the mower, for less friction. This keeps them staying sharp for longer, so you won’t have to sharpen them as often. If you’re not sure if a manual lawn mower is a good choice for you, you may be surprised with this mower. It packs a lot of features that other manual lawn mowers don’t. For example, this mower can cut through a wide variety of grasses, both thick and thin, because of its blade design and adjustable cutting heights for uneven terrain. It can even chop through debris in your yard, like sticks. Remember to thoroughly clean your mower after each use, and allow it to air-dry outdoors before storing away when not in use. The Craftsman Gas Powered 3-in-1 Push Lawn Mower is our recommendation for best push mower. This model has a 21-inch cutting width, and is a good size for mowing lawns up to Â½ acre in size. The 140cc engine will make this mower move fairly easily, cutting through dense grass and weeds without much physical exertion from you. You can choose from six different height adjustments, which is helpful if you’re trying to establish a lawn through natural spreading and don’t want to cut it too short. The heights range from 1.25 to 3.75 inches, which is a good height to promote spread and encourage growth. If you want a clean cutting, this model will help you achieve that with its side bag that catches grass clippings. This mower has mulching capabilities so you can also use the mulch setting to turn your grass into the perfect mulch for gardening. If you’re nervous about the pull cord start method for this machine, don’t be. It requires little strength to get it started, with its light recoil starter requiring a slower pull speed than other gas powered mowers. This mower comes with a pre-measured oil packet to add to the oil chamber. Use an 87 grade fuel to add to the separate gas chamber. All you need to do is press the mixing button once to get them mixed together, and you can then start the mower.